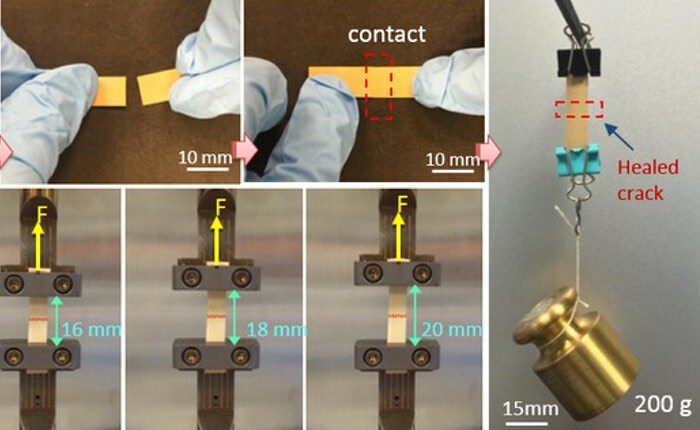 A new self-healing material has been unveiled this week that has been created by a team of researchers from Penn State, and is even capable of repairing itself when the material is cut in half. The nano-composite self-healing flexible material has a wide number of applications that could revolutionise the wearable market learn more about this very unique material in the video below. The research team led by Professor Qing Wang are making sure that the self-healing electronics can restore “a suite of functions” and the boron-nitrate nanosheets the team has created are unaffected by moisture.